This is a good pre-game warm up drill. You simply do a 3 man weave out to half court. 2 passes to 1 and goes behind the man to whom he passes. 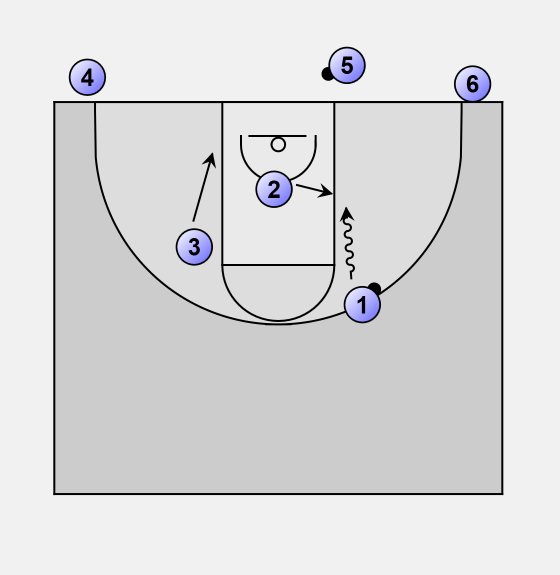 3 runs the lane on his side of the court until he receives the pass from 1. 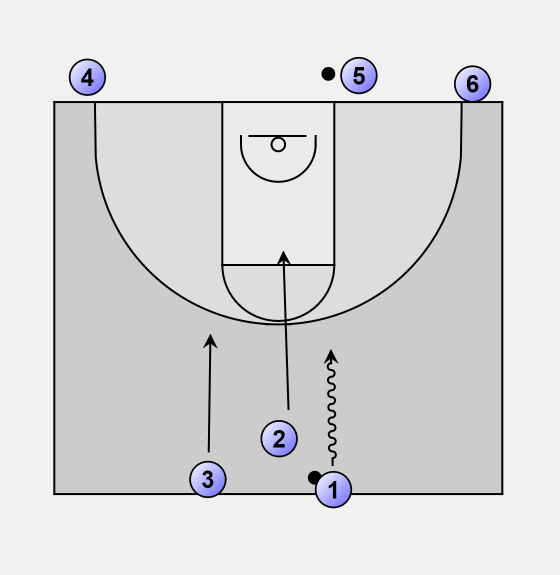 1 receives the pass from 2 and passes to 3. 1 runs behind 3 and goes to touch the mid court line. 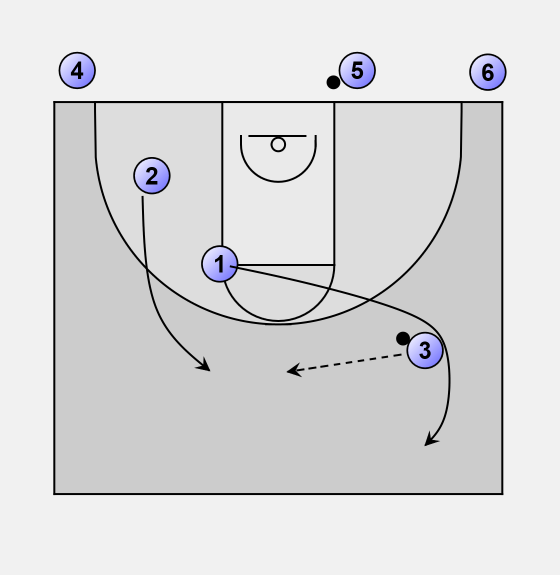 3 passes to 2 and sprints to touch the mid court line. 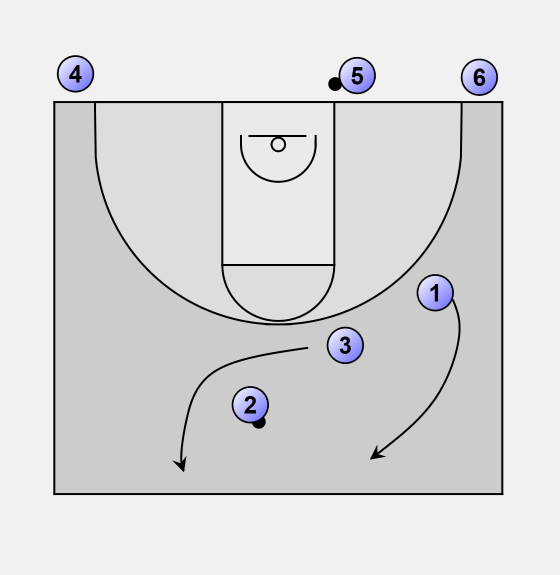 2 receives the pass and places the ball on the floor at mid court (he doesn't bounce it, the players that are now becoming the offense need to get down and pick it up, allowing an instant for the defender, 2 to get back to defend). 2 gets into defensive position and defends the basket. 1 and 3 stay lane wide and attack 2 on 1. I tell the offensive players to make the defender commit and I tell the defensive players that they must commit to defend the ball.